A motor vehicle crime refers to an illegal or unlawful act which is committed with some form of motor vehicle, automobile, car, truck, SUV, or motorcycle. Any driver, who is convicted of a moving violation may face jail time, suffer a loss of their driving privileges, and be assessed points on his insurance for each conviction. A conviction for driving while intoxicated (DUI) has serious consequences, including incarceration and the loss of driving privileges. You rely on driving to fulfill school, work, and family obligations, and suspension of your license may make it very difficult to fulfill those commitments. If your license has been suspended or revoked, you want your license back—and you want it back now. The first important question that needs to be answered when you are charged with a motor vehicle crime such as drinking and driving in Massachusetts is whether this is your first offense, second offense, or third or subsequent offense. Therefore, the categorization of any prior offenses is crucial in determining your penalties for this charge. The penalties for a motor vehicle crime in Boston will depend on whether you have been charged with a Felony or Misdemeanor offense. Felony motor vehicle crimes, such as receiving a stolen motor vehicle, carjacking, and felony OUI, may result in significant jail time upon conviction. Misdemeanor motor vehicle crimes can also result in a committed sentence, but generally the punishment is not as severe as a felony conviction. Minor Traffic Violations, such as speeding or marked lane offesnes, usually involve a monetary fine, points being assessed against your driving record, and in some cases, your driver’s license being suspended. Boston Criminal Defense Attorney Steven J. Topazio is prepared to investigate every aspect of the allegations and circumstances of your case, in order to identify the right strategy and build an aggressive defense on your behalf. Contact Attorney Topazio online or call to discuss your case. Immediate Threat Suspension of Driver’s license lifted. The client was driving her car after work and crossed over marked lanes and crashed into a tree on the other side of the road. When police responded, the client could not explain how the accident happened. The police suspended the client’s driver’s license without a hearing as an immediate threat. Under the law, if the Registrar determines that you pose an immediate threat to public safety because you have a medical condition which hinders your ability to operate a motor vehicle safely, the Registrar can suspend your learner’s permit, driver’s license, vehicle registration, or right to operate immediately for an indefinite period. The officer determined that the client posed an immediate threat to public safety because she believed the client had a medical condition which hindered her ability to operate a motor vehicle safely. Attorney Topazio petitioned the registrar to lift the immediate threat by establishing through medical documentation that his client was medically fit to drive and proved that continuing operation by his client would not constitute an immediate threat to public safety. The Registrar agreed and terminated the immediate threat and immediately activated his client’s driver’s license. Negligent Operation of Motor Vehicle MGL c. 90 § 24(2)(a), Client accepts 3 month CWOF to avoid trial of a multiple car crash. The client, a 62 year property manager, retained Attorney Topazio after being summonsed to court for the charge of negligent operation of a motor vehicle after he was involved in a three car crash on Route 24 North in Brockton. According to the police report, three vehicles were involved in the crash with major damage. Brockton Police Department, Fire, and EMS responded to the scene. The police investigation revealed that the client was entering Route 24 North from Route 27 ramp at an excessive speed and could not make the turn and went straight across the ramp, over the curbing, crossing over a grassy infield, and into traffic. The client’s vehicle crossed over the breakdown lane and first travel lane when he was struck and then crashed into a third vehicle forcing that vehicle into the median barrier. All three operators were transported via ambulance to a local hospital. Two independent witnesses to the crash reported to police that the client was speeding out of control and came across the highway and caused the crash. Tire marks on the roadway confirmed the witnesses’ statements. Attorney Topazio challenged the case and filed a motion to dismiss. Negligent operation of a motor vehicle requires the Commonwealth to prove that the defendant drove negligently in a manner that might have endangered the lives or safety of other people. A person acts negligently when he fails to use due care, that is, when he acts in a way that a reasonable person would not act. This can happen either by doing something that a reasonably prudent person would not do under those circumstances, or by failing to do something that a reasonably prudent person would do. Attorney Topazio argued that the crash was nothing more than an accident and that his client did not act negligently if he drove in a way that a reasonable person would have, and thereby did not create an unnecessary danger to other people, a danger that he could have avoided by driving more carefully. Despite the arguments, Attorney Topazio had to assist his client in the several civil law suits that followed. Although the client did not have sufficient insurance coverage to settle all the claims, Attorney Topazio was successful in resolving the civil lawsuits within the limits of his client’s policy. Today, Attorney Topazio convinced the court to give his client a three (3) month continuance without a finding (CWOF) after an admission to sufficient facts. The client, a 29 year old accountant, hired Boston Criminal Defense Attorney Steven J. Topazio to represent him after receiving criminal charges. According to the police report in the case, the client was captured on surveillance video crashing his car into the lift gate at a Brookline parking garage damaging it, then fleeing the scene without making himself known. After assessing the damage, Attorney Topazo met with the prosecutor and Brookline Police to negotiate a resolution of the matter so as to avoid a trial and possible criminal conviction for his client. Attorney Topazio arranged to have his client’s automobile insurance pay for the damage his client caused to the parking lot. Today, after weeks of negotiation, Boston Criminal Attorney Topazio was able to persuade the prosecutor dismiss all charges against his client and the court agreed. The client, a 21 year old college senior, was stopped for speeding after being caught on Lidar traveling 52 mph in a 35 mph zone and thereafter was giving a citation for speeding and operating a motor vehicle with a suspended license when it was discovered that the client’s driver’s license was suspended, hired Boston Criminal Defense Lawyer Steven J. Topazio to represent him. Attorney Topazio learned that his client’s license was suspended for three surchargeable events. 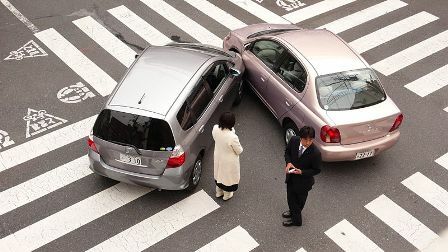 Massachusetts has a bad driver point system which is called “surchargeable points” and is based on the state’s Safe Driver Insurance Program. Every time a motorist is found responsible for a moving violation?like a speeding ticket, for example?he gets a “surchargeable event” on his record. In Massachusetts if you are found responsible for three speeding violations within a 12 month period, your driver’s license will be suspended automatically for 30 days. Attorney Topazio instructed his client to request a Magistrate’s hearing and to take all steps necessary to reinstate his driver’s license. Today, Attorney Topazio convinced the Clerk Magistrate not to issue a criminal complaint against his client or to find him responsible for the speeding violation on the condition that if the case is continued for three months and his client return to court after three months without any further motor vehicle violations, then both charges would be dismissed. The client, a 24 year old software specialist, received an Application for Criminal Complaint after allegedly striking a vehicle while in traffic on Route 128 then failing to stop and exchange information with the other driver, hired Boston Criminal Defense Attorney Steven J. Topazio. Attorney Topazio learned that his client did not have a valid driver’s license but instead held a learner’s permit which required him to be in the presence of a licensed driver, which he was not. As a result, Attorney Topazio instructed his client to complete the road test with the Registry of Motor Vehicles prior to the scheduled Magistrate’s hearing so he would appear with a valid driver’s license. Attorney Topazio also had his client contact his automobile insurance company and open a claim so as to deal with any alleged damage to the other vehicle. The client wanted to avoid any criminal charges issuing against him because he was in the United States under the status of a Green Card Permanent Resident. The green card is officially known as the Alien Registration Receipt Card. A Green Card Permanent Resident is a foreigner who is a permanent resident of the country in which he or she resides but does not have citizenship. Today, Attorney Topazio persuaded the Clerk Magistrate, who although found probable cause to issue a complaint against his client, to hold that process for three months on the condition that his client would pay restitution if any to the other party, and then the charges would be dismissed. The client, a 20 year old High School student, was arrested after a foot pursuit by police who stopped him and arrested him at gunpoint for receiving stolen motor vehicle, a felony charge, was represented by Boston Criminal Lawyer Steven J. Topazio. According to the police report, the client who ran from police after fleeing the car he was in when he saw the police, then made a statement to the effect that he met a Spanish guy near the Home Depot in Chelsea about an hour earlier who had two cars and gave the client one of the cars and told him he didn’t need it any longer and that the client could keep it. The client further stated that he thought that was weird but took the car, despite not having a driver’s license. The prosecutor argued the fact that because the client ran from police he demonstrated consciousness of guilt. Whenever the prosecution argues that certain evidence indicates consciousness of guilt, the court is required at the defendant’s request to instruct the jury: (1) that they may, but need not, consider such evidence as a factor tending to prove the defendant’s guilt; (2) that they may not convict on the basis of such evidence alone; (3) that flight or similar conduct does not necessarily reflect feelings of guilt, since there are numerous reasons why an innocent person might flee; and (4) that even if flight or similar conduct demonstrates feelings of guilt, it does not necessarily mean that the defendant is guilty in fact because guilt feelings are sometimes present in innocent people. Today Attorney Topazio convinced the prosecutor to reduce the charges to the misdemeanor charge of use without authority, and the case was continued without a finding for six months and the charge of unlicensed operation was dismissed. Result: Charge reduced to misdemeanor and case continued without a finding for six months. A 25 year old real estate agent failed to notify the registry of her new address after she moved. The client then received a speeding ticket and appealed to the RMV. The RMV sent the notice of the hearing to the client’s old address, which was not forwarded to the client. The client as a result never received notice of the hearing date and failed to appear and was defaulted. Not knowing she defaulted, the client also did not pay the associated fines and the client’s driver’s license was revoked by the RMV. The client was then stopped for speeding again and was charged criminally for operating with a revoked license. The client hired Boston Criminal Attorney Steven J. Topazio to defend her. While waiting to be notified of her scheduled Magistrate Hearing, the client was stopped a third time and was charged with operating after suspension again when police noticed an expired inspection sticker on the client’s car. Attorney Topazio assisted his client in getting her licenses back before the scheduled Magistrate hearing. Attorney Topazio learned that the RMV required that his client successfully complete 3 driver’s reeducation courses before the reissuance of his client’s driver’s license. Today at the clerk magistrate’s hearing, Attorney Topazio was able to convince the Magistrate, despite a finding of probable cause, to hold the complaint for a period of 6 months with the agreement that if his client encounters no further trouble the complaint would be dismissed and not appear on his client’s CORI. The client, a 41 year old business man from New York, was stopped in Boston for speeding, traveling 90mph in a 45mph zone. When stopped, the State Police Trooper discovered that the client was operating with a suspended New York driver’s license, and gave him a traffic ticket. The client hired Boston Traffic Ticket Attorney Steven J. Topazio to defend him. Attorney Topazio advised his client to apply for a Massachusetts license since he established residency in Massachusetts. Attorney Topazio advised his client that since he decides to establish residency in Massachusetts, he must apply for a driver license immediately because under Massachusetts law there is no grace period. Today, Attorney Topazio argued that his client was now compliant with the law and shouldn’t be prosecuted, and the court agreed. The court, in order to protect his client’s record, dismissed all charges prior to arraignment on $500.00 court costs. Result: Case dismissed prior to arraignment. The client, a 58 year old employee of the Commonwealth, received an application for criminal complaint after crashing her car onto a neighbor’s property; hired Boston Criminal Lawyer Steven J. Topazio to defend her. Boston Criminal Attorney Topazio met with his client and learned that this was the third time in the month that his client blacked out, and was concerned that the Commonwealth would argue that his client put the public at risk for operating a motor vehicle when she knew she was blacking out. Boston Criminal Defense Lawyer Topazio obtained medical documentation that his client’s treating physicians examined his client prior to the motor vehicle crash and cleared her without restrictions. Following the motor vehicle crash, it was discovered the client suffered from a medical condition which required emergency medical intervention. Today, Boston Criminal Defense Attorney Steven J. Topazio argued that his client did not knowingly put the public at risk of harm or endangered the lives or safety of other people since she did not know her medical problem would cause her to crash. Boston Criminal Lawyer Topazio argued that his client was not negligent but in any event, would not have any problems in the future due to the medical intervention, and the Magistrate agreed. The client, a 28 year old Marine Corps Veteran, received a summons to appear in court after receiving a citation for unlicensed operation, hired Massachusetts Criminal Lawyer Steven J. Topazio. Boston Criminal Attorney Topazio instructed his client to renew his motor vehicle license after it lapsed. Today, Boston Criminal Defense Lawyer Steven J. Topazio met with the Assistant District Attorney and resolved the case by agreeing to dismiss the criminal charge on court costs and finding the client not responsible on the number plate violation, and the court agreed. Result: Case dismissed on court costs. The client, a 39 year old professional, received an application for criminal complaint after getting into a multi-car crash on route 24 in Avon, Massachusetts, hired Boston Criminal Defense Attorney Steven J. Topazio to represent him. A clerk-magistrate has discretion in determining whether probable cause exists to warrant the commencement of criminal proceedings. Such a determination is made on consideration of the application and the testimony of the complainant. Once the magistrate has satisfied himself that the complainant has presented such a statement of accusation, process must issue. According to the police report, the client struck the rear on a pickup truck pushing is approximately 75 feet. The client’s motor vehicle left skid marks of approximately 60 feet prior to the crash. Both the client and other operator of the other motor vehicle were transported via ambulance to local hospitals. Attorney Topazio obtained documentation form the Registry of Motor vehicles indicating that his client was properly licensed on the day of the accident, and proof that his client was properly insured. Today, the client testified that he was startled by the other vehicle which stopped unexpectedly on the other side of a small hill. Despite the client’s rate of speed and manner of operation which led to this rear end collision, Attorney Topazio was able to persuade the Magistrate to dismiss all charges against his client. The client, a 29 year old Harvard graduate student, was involved in a two car motor vehicle crash involving personal injury. The Client received an Application for Criminal Complaint in the mail for operating without a license following her discharge from the hospital, hired Boston Criminal Defense Attorney Steven J. Topazio to defend her. Prior to the scheduled hearing, Attorney Topazio confirmed that his client renewed her driver’s license prior to the scheduled hearing and obtained documentation from his client’s motor vehicle liability carrier regarding the accident. Attorney Topazio is aware that under the certain circumstances the Magistrate may exercise her authority to resolve local conflicts short of authorizing a criminal complaint. Although the primary role of the magistrate is to determine whether probable cause exists to require the accused to answer to a criminal charge, magistrates may decline to authorize complaints where the law allows the conflict to be fairly resolved in a different manner. In Gordon v. Fay, 382 Mass. 64, 69-70, 413 N.E.2d 1094, 1097-1098 (1980), the Supreme Judicial Court noted that the “implicit purpose of the [G.L. c. 218, §] 35A hearings is to enable the court clerk to screen a variety of minor criminal or potentially criminal matters out of the criminal justice system through a combination of counseling, discussion, or threat of prosecution.” Today, Boston Criminal Defense Attorney Topazio was successful in convincing the Magistrate to resolve the matter without issuing the criminal complaint. The client, a 43 year old, went through a red light and received a summons to appear in court because her car was unregistered and uninsured when checked by Watertown Police. Attorney Topazio met with the Watertown Police Prosecutor in an attempt to resolve his client’s case. Today, Attorney Topazio was successful in getting the criminal charge against his client dismissed after a finding of responsible filed on the civil infraction of unregistered motor vehicle, thus preserving his client’s CORI. The client, a 37 year old scientist with no prior criminal history, received a citation with both criminal and civil violations when he passed a line of cars in route to a job interview, hired Attorney Topazio to represent him. Attorney Topazio obtained his client’s Curriculum Vitae and registry documentation in anticipation of the court hearing. Attorney Topazio discovered that his client failed to obtain a Massachusetts license when he moved here from Colorado during the beginning of the year after accepting employment with Pfizer, Inc. Despite accepting employment and relocating to Massachusetts, Pfizer unfortunately laid off the client due to the sluggish economy. The client, who became trapped in Massachusetts with his family in search of employment, did not consider himself a permanent resident of Massachusetts which requires that every resident must apply for a driver’s license within 30 days of establishing residency. The client believed his valid Colorado driver’s license was sufficient in Massachusetts since he was seeking employment in several states when he received the criminal citation. At the Magistrate’s hearing, Attorney Topazio established that his client applied for and received his Massachusetts driver’s license and had his car inspected the day after receipt of the citation. Attorney Topazio was successful in convincing the Magistrate to dismiss the criminal violation of unlicensed operation and civil violation of inspection violation, thus preserving his client’s clean criminal record or CORI. The Magistrate only assessed the client $100.00 for the civil violation of unsafe passing. Result: Criminal complaint dismissed and client preserve’s clean CORI. Result:Formal complaint does not issue and case to be dismissed following completion of community service project. The Client, a 24 year old office supply delivery truck driver, was stopped by police when they randomly ran his license plate and discovered that his registration and insurance were suspended. The client’s registration was revoked due to the fact that the client was unaware that he allowed his insurance to lapse. After the police conducted a motor vehicle stop, the client was asked to get out of his car so the police could conduct an inventory search. During the inventory search 14 unused syringes and a liquid later identified as steroids for intramuscular injection were found. Any conviction for any possession charge in Massachusetts carries the collateral consequence of causing a one (1) year loss of driving privileges which the client could not afford. Attorney Topazio had his client cure the insurance problem and re-register his motor vehicle and to provide him with verification of same. Today in court, Attorney Topazio lobbied his client’s case with the judge and was successful in convincing the court and prosecutor to dismiss all charges and to give his client a three (3) month period of pre-trial probation on the possession of class E (steroid) charge, thus preserving his client’s record and driver’s license. Result: Charges dismissed and client avoids loss of license by agreeing to pre-trial probation. The Client, a 51 year old individual, received a citation and summons to appear in court on a criminal charge of reckless operation after the client crashed his car into a parked car, causing the parked car to strike a fire hydrant shearing it off at the base. The police report stated that when the police were dispatched to the scene of the accident, the officer approached the defendant and questioned him as to what happened and the defendant stated he was traveling “too fast” up the street and “misjudged” the distance he had to get through. Primarily as a result of the client’s statements to police is the reason why the client was criminally charged. Attorney Topazio argued that not all accidents are criminal and filed a motion to dismiss the charge alleging that the evidence presented was not sufficient to establish probable cause to issue the complaint. Attorney Topazio argued that in determining whether the defendant drove recklessly, a clerk should take into account all the facts of the situation: the defendant’s rate of speed and manner of operation, the defendant’s physical condition and how well he could see and could control his vehicle, the condition of the defendant’s vehicle, what kind of a road it was and who else was on the road, what the time of day, the weather and the condition of the road were, what any other vehicles or pedestrians were doing, and any other factors that the clerk would think are relevant. Attorney Topazio argued that it is not enough for the Commonwealth to prove that the defendant acted negligently—that is, acted in a way that a reasonably careful person would not. It must be shown that the defendant’s actions went beyond mere negligence and amounted to recklessness. A defendant is reckless if he knew, or should have known, that such actions would pose a grave danger of death or serious injury to others, but he chose, nevertheless, to run the risk and go ahead. Today at the hearing on the motion to dismiss, Attorney Topazio was successful in convincing the District Attorney to dismiss the case against his client on court costs and the court agreed. The defendant, who was accused of nearly running a pedestrian over, was arrested after Boston police reviewed a recording of the incident from a Boston City Hall Security camera. According to the police report, the video was requested and preserved. Attorney Topazio, who represented the defendant, requested a copy of the video from the Commonwealth and indicated said request on a pre-trial conference report that was filed with the court. The case was continued several times for the production of the video. After the Commonwealth failed to produce the video, Attorney Topazio filed a motion to dismiss the charges arguing that the officer’s refusal to produce the video after requested by the Commonwealth denies the defendant the opportunity to obtain potentially exculpatory evidence of the entire event which was captured on video. Attorney Topazio argued that the video, which was either lost or destroyed, was potentially exculpatory and when evidence is lost or destroyed, the court must employ a balancing test to determine the appropriateness and extent of remedial action. Attorney Topazio relied on case law that suggested that the trial judge must weigh the culpability of the Commonwealth and its agents, the materiality of the evidence, and the potential prejudice to the defendant and argued that dismissal of all the charges was the only remedy available to his client to correct the harm done. Today, Attorney Topazio was successful in convincing the court to dismiss the criminal charges against his client due to the loss of evidence. Result: Motion to dismiss case allowed. The defendant, a United States Marine who recently returned from a tour in Iraq, was cited for operating negligently when State Police observed him traveling in excess of 95 mph and making aggressive lane changes. The State Police pursued the defendant and had to accelerate to speeds in excess of 120 mph to catch him. When the defendant was stopped he was also cited for operating with a suspended license, marked lanes violation and speeding. The defendant initially represented himself on the case but was unsuccessful in his attempts at resolving it without a finding of guilty and responsible finding on the civil infractions. A guilty finding on either criminal infraction not only carried the potential for jail but would result in the client’s driving license being suspended. When the District Attorney’s office moved the case towards trial, the defendant hired Attorney Topazio. After a lengthy period of negations with the District Attorney, today Attorney Topazio was successful in convincing the court to dismiss the criminal charges against his client on the payment of court fines and having his client found not responsible on both civil infractions. Result: Case dismissed on payment of court fines and record and driving privileges preserved. The defendant, had his right to operate a motor vehicle in Massachusetts revoked as a Habitual Traffic Offender, was represented by Attorney Topazio after being arrested for various motor vehicle offenses following the crash of his motor vehicle on 93S in Boston which, after questioning by police, it was learned he abandoned. Upon investigation of the case Attorney Topazio learned his client was called to the State Police Tunnels Barracks to answer questions about my motor vehicle which was abandoned on Route 93S. Images of the crash were captured on tunnel surveillance cameras. The client was told to bring proof of ownership to clear up the situation to avoid being charged. The client arrived at State Police Tunnels Barracks with the requested documents but while there was told that he had to answer several questions before he could get his car back. The answers to those questions resulted in the defendant being arrested. Attorney Topazio filed motions to suppress his client’s statements and motions to dismiss because his client was questioned without being informed of his Miranda rights, and made incriminating statements. The procedural safeguards of Miranda are required not where a suspect is merely in police custody, but rather where a suspect is subjected to custodial interrogation. Interrogation must reflect a measure of compulsion above and beyond that inherent in custody itself, and therefore Miranda warnings are only required when a person in custody is subjected to either express questioning or its functional equivalent. The term ‘functional equivalent’ includes any words or actions on the part of the police (other than those normally attendant to arrest and custody) that the police should know are reasonably likely to elicit an incriminating response from the suspect. In this context, an ‘incriminating response’ includes any response inculpatory or exculpatory, which the prosecution might seek to use against the suspect at trial. Today at a hearing on the motion to suppress, Attorney Topazio was successful in getting all but the Number Plate violation against his client dismissed. The defendant, a professional mother of a young child, was arrested after making a false report that her motor vehicle was stolen, hired Attorney Topazio. Attorney Topazio discovered that his client made the false report because her boyfriend pressured her into doing so when he was allegedly seen by police abandoning her car which he had been using, which later was found to contain 34 plastic bags of cocaine. At his client’s arraignment, Attorney Topazio met with the District Attorney in an attempt to resolve his client’s case, arguing that his client was coerced into breaking the law by her boyfriend and thus not responsible. Attorney Topazio pointed out that his client, who had no criminal record, allegedly confessed to the police as to what she had done and took responsibility for her actions. Attorney Topazio pointed out that his client’s boyfriend pressured his client to report the car stolen so he wouldn’t get arrested. Today, after several court appearances, Attorney Topazio convinced the District Attorney to place his client on pre-trial probation for a period of six months, instead of having his client plead guilty or admit to sufficient facts, thus preserving her record and career. Result: Client placed on pre-trial probation and avoids a trial and a felony conviction thus preserving her record and career. On 12/14/06, the defendant’s motor vehicle was observed by Boston Police for (1) failing to stop for a police officer, (2) speeding and (3) operating a motor vehicle negligently. On 12/14/06 a motor vehicle citation (citation #1) alleging (1) failure to stop, (2) operating to endanger and (3) speeding was written but not mailed or given to the defendant. The original citation (citation #1) was filed with the Court. The defendant who was not arrested nevertheless received in the mail motor vehicle citation (citation #2) on or about 12/28/06 only alleging non-criminal motor vehicle violation of Failure to Stop which he paid $100.00 to the Registry of Motor vehicles on 02/02/07. Both Citations were issued purporting to be in compliance with the requirement of G.L. c. 90C, §2, but only (citation #2) issued on or about 12/28/06 was mailed to the defendant. Since the defendant never answered on (citation #1) he was defaulted by the court. After the defendant was arraigned on the criminal charges, Attorney Topazio was hired. Attorney Topazio attacked the pending criminal charges by filing a Motion to Dismiss the complaint pursuant to G.L. c. 90C, § 2, which section of the General Laws allows a Court to dismiss the pending criminal charges when a defendant is not giving a copy of the citation at the time and place of the violation which according to statute “shall constitute a defense at any court proceeding for such violation…” Today, Attorney Topazio over the Commonwealth’s objection convinced the Court to dismiss all charges against his client pursuant to G.L. c. 90C, § 2 the so called “No-Fix” statute.